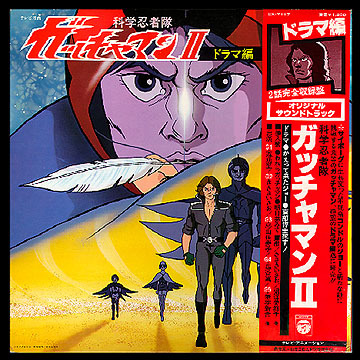 Contents: This LP contained the opening and closing theme songs, and the soundtrack versions of two episodes (4 and 27) of Gatchaman II. Additionally, this LP was released on audio cassette (catalog number CPY-635, ¥2,000). Stereo/Monaural.